STRAFFORD—Will the Indians ever lose another Mid-Lakes Conference game? Strafford, which finished in third-place in Class 3 last year with a 27-5 record, won its fifth-straight Mid-Lakes title and fifth-straight district title last season. The Indians have not lost a conference game since 2009—when the current seniors were in sixth grade. Although Strafford will miss two-time All-State honoree Jacob Wade, the Indians will be favored to run the conference table once again, with eight athletic and experienced seniors returning who do not know what it feels like to lose a Mid-Lakes Conference game. SKYLINE—The Tigers rolled to their second-straight district championship last year, finishing with a 20-8 record. Four starters return for Skyline, as the Tigers will feature a speedy and athletic lineup that lost just two lettermen and returns a trio of double figure scorers in junior Dylan Mountain (16 ppg) and seniors Ethan DaMItz (11.5 ppg) and Trey West (10.7 ppg). The Tigers might have been predicted higher, but their two toughest conference games will be on the road at Fair Grove and Strafford. MARIONVILLE—The biggest question mark in the Mid-Lakes will be Marionville. 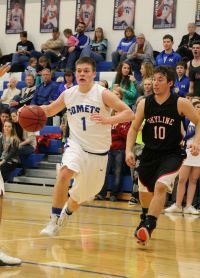 The Comets finished last season with a 17-11 record and a district title game loss to Crane. Five seniors graduated, including three starters, but the two returning starters are a pair of good ones in juniors Lathan Kerans and Jacob LaSalle. Also, how much of an effect (if any) will Marionville’s deep state tourney run on the gridiron have on the development and team chemistry on the hardwood? STOCKTON—An up-and-down season ended in the district title game, as Stockton finished at 11-15 for the season. The Tigers lost three seniors, but do return three starters in senior Reece Rutledge and juniors Colton Brown and point guard Alex Wheeler. Stockton will have a more versatile lineup this season that can go big or small, but will that be enough to go head-to-head with the Mid-Lakes heavyweights? ASH GROVE—The Pirates posted a 21-8 record last season, including a district championship. However, with only one starter back (Ben Weinreis), Ash Grove will be extremely young and inexperienced this season. Weinreis is one of the best around, but he will need plenty of help with teams likely focusing on limiting his touches this season. Look for junior Jackson Bagley to have a breakout season with an expanded role. PLEASANT HOPE—Despite a disappointing 5-21 record a year ago and winless Mid-Lakes effort, Pleasant Hope returns all five starters this season, and nine lettermen overall. In addition, three other players are returning from injury, giving the Pirates quality depth they have lacked in recent years. Pleasant Hope will be better this season, and should have no trouble increasing its win total, but winning a Mid-Lakes game will not come easy. 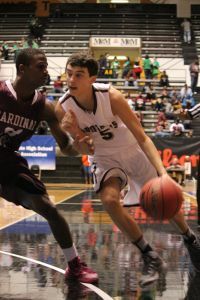 Grant Boswell, Strafford—The Indians are flat-out loaded, and Boswell is a big reason why. The senior was named 2nd-Team All-Mid-Lakes and All-District last year, and is Strafford’s second-leading returning scorer at 12 points per contest. Look for Boswell to have another standout season. 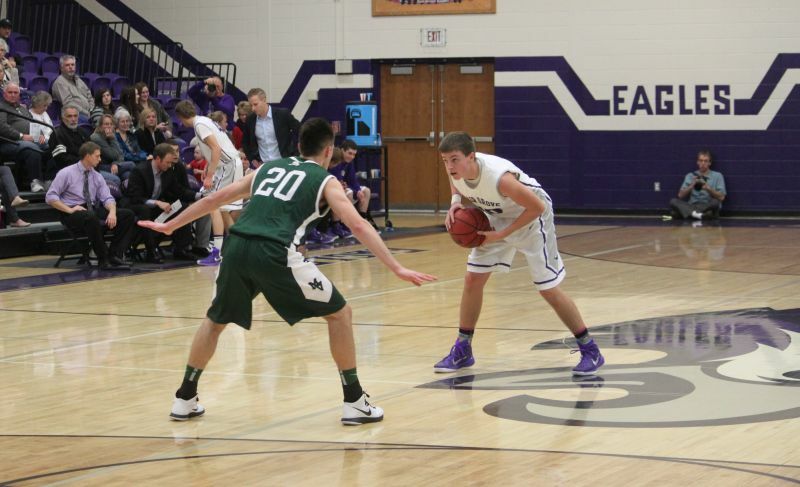 Kyle Cavenaugh, Fair Grove—The Eagles’ future is bright, with Cavenaugh leading a youth brigade of Eagles. The junior was a 2nd-Team All-Mid-Lakes selection as a sophomore after averaging 14 points per game and shooting 55 percent from the field (including 43 percent from behind the three-point line). The 6’1” All-District junior is an athletic player who is explosive and makes plays in bunches. Cavenaugh has the talent to completely take over a game. Kyle Foley, Strafford—Arguably the unofficial preseason Mid-Lakes Player of the Year, Foley is one of the top players in the entire area—regardless of class. 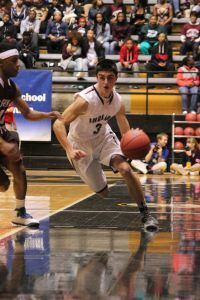 A 2nd-Team All-State selection by the media last year, Foley is the best of a host of talented and experienced Indians. The 1st-Team All-Mid-Lakes senior averaged 16.5 points per game as a junior. Foley is capable of scoring in bunches from the outside, but the king of the “and-1” is just as comfortable driving to the rim for a bucket and free throw. Dylan Mountain, Skyline—One of the top players in the Mid-Lakes (and the area), Mountain earned 1st-Team All-Mid-Lakes honors as a junior in leading the Tigers to their second-straight district championship. The multi-sport standout junior averaged a team-leading 16 points and 6.7 rebounds per game last season. Although only a junior, the 1st-Team All-District Mountain is the Tigers’ unquestioned leader and go-to guy on the floor. 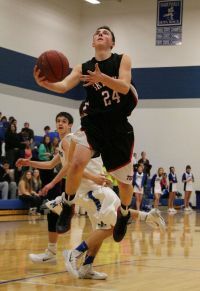 Ben Weinreis, Ash Grove—Weinreis earned 2nd-Team All-Mid-Lakes honors last year as a sophomore, but as the Pirates’ lone returning starter, look for the talented Weinreis to make a run at 1st-Team All-Conference honors this season as a junior. A two-year starter, the 6’3” Weinreis averaged 18 points and 8 rebounds per game last year in also earning All-District recognition. Colton Brown, Stockton—Brown led Stockton in scoring last season as a sophomore at 14.9 points per game, earning honorable mention All-Mid-Lakes honors for his efforts. The junior also averaged four rebounds per contest, and should be able to increase his production with another year of experience under his belt. 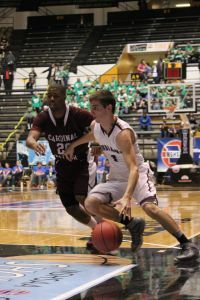 Brady Collier, Strafford—A prime example of Strafford’s embarrassment of riches is Collier, a four-year starter at point guard, and one of nine Indian seniors who will be looking to close out their careers with another trip to Columbia. An honorable mention All-Mid-Lakes selection a year ago, Collier averaged 8.5 points and 2.4 assists per game for the Indians. Lathan Kerans, Marionville—A three-year starter for the Comets, Kerans is solid shooter, good passer, and has a high basketball IQ. The junior is Marionville’s leading returning scorer at 12 points per game, and earned honorable mention All-Conference honors as a sophomore. If the Comets are to make some noise in the Mid-Lakes, then Marionville will need a strong performance from Kerans. 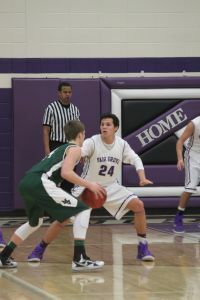 Garrett Kesterson, Fair Grove—The Eagles are primed for a sustained run of success, with Kesterson is big part of those plans. The 6’3” sophomore, who grew three inches over the summer, earned honorable mention All-Mid-Lakes honors as a freshman after averaging 13 points, three rebounds, and 1.3 assists per game in his first season. Kesterson, who made nearly half his shots as a freshman, shot a blistering 40 percent from behind the three-point arc. With three seasons left in an Eagle uniform, Kesterson is on the cusp of a standout career. Trey West, Skyline—It may seem like West has been playing at Skyline forever, but that’s becuse the quick and talented senior has been making contributions for the Tigers since his freshman season. A 2nd-Team All-Mid-Lakes and 1st-Team All-District honoree as a junior, West will look to increase his averages of 10.7 points and 4.8 rebounds per game as a senior. Ethan DaMitz, Skyline—One of the conference’s top point guards, DaMitz is a steady hand at the point of attack for the up tempo Tigers. The senior, an honorable mention All-Mid-Lakes honoree a year ago, averaged 11.5 points, 4.4 rebounds, and three assists per game as a junior. Brandon Gravelin, Ash Grove—Graduation gutted the Ash Grove frontline, which means there will be plenty of opportunities to produce for Gravelin. The 6’2” senior post player is a versatile inside-out threat who will be counted on heavily for added production as he steps into a starting role. Camron Hansen, Pleasant Hope—Hansen was the Pirates’ leading scorer last year at 11.5 points per game. The junior, who also averaged 6.5 rebounds and 2.3 steals per contest, uses his speed and quickness to get to the rim and finish. Hansen will be counted on heavily if Pleasant Hope is to take a step forward this season. Dallas Hester, Strafford—Another one of the Indians’ endless nine-deep senior class, the speedy Hester may be the best athlete on the Strafford roster. Although Hester’s future likely lies on the gridiron, the 6’2” senior will make major contributions to the Indian cause this winter. Hester, a great outside shooter, has a solid all-around game, as evidenced by him dishing out 3.2 assists and making 2.4 steals per game last season. Jordan Hillenburg, Pleasant Hope—Hillenburg got a baptism by fire as a freshman last season, as he was forced into a starting role. 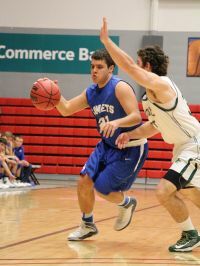 Hillenburg stepped up and made a mark, averaging 11 points, 3.9 rebounds, 3.4 assists, and 2.8 steals per game in his first season. With a full season of experience under his belt, look for the sophomore to take another step again this year. Jacob LaSalle, Marionville—One of two starters returning for the Comets, LaSalle is a smart and athletic leader who will need to increase his production to offset the loss of three starters. LaSalle averaged 10.5 points per contest as a sophomore, and will team with fellow junior Lathan Kerans to give Marionville one of the top duos in the conference. Zane McCurry, Fair Grove—McCurry did not get to suit up last year until January due to an MSHSAA transfer eligibility ruling upon his move into the Fair Grove district. Regardless, McCurry contributed immediately, averaging eight points and four boards per outing over the back half of the season. The 6’2” senior can score in a lot of different ways, and should enjoy a solid senior season. Matthew Mills, Pleasant Hope—The Pirates will look to Mills for scoring inside and out, as the athletic senior looks to close out his career with a step forward in terms of production—both individually and as a team. Mills averaged 9.6 points and 7.5 rebounds per game as a junior. Dalton Taylor, Strafford—Another one of Strafford’s standout seniors, Taylor is a versatile athlete who can jump out of the gym. The All-Mid-Lakes Taylor, who averaged 7.5 points per game as a junior, is Strafford’s best defensive player, and will regularly draw the task of shutting down the opposing team’s best player. (12) Osceola at Stockton—The Indians are one of the best teams in the state in Class 2, and Osceola’s talented senior class has posted a 67-19 record since arriving on the varsity. That includes an appearance in the 2012 Final Four and an undefeated regular season last year. Osceola, a legitimate Final Four contender in Class 1 again this year, beat the Tigers 90-54 last season. (16) Mt. Vernon at Ash Grove—This game will feature two of the area’s best players in Ash Grove’s 6’3” junior Ben Weinreis and Mt. Vernon’s 6’4’ senior standout Chandler Myers, a 2nd-Team All-State selection last year after averaging 23.4 points and 9.8 rebounds per game. The Mt’neers also feature a pair of All-District senior guards in Luke Call and Braden Adams. (20) Strafford v. Carl Junction—This game will be a part of the day two action at the Route 66 Shootout at Waynesville, and provides an intriguing match-up for the Indians. Carl Junction only has two starters back from its second-straight district title team, but the Bulldogs do have longtime Mt. Vernon head coach Skip Brock in his first year at the helm. If nothing else, that means Strafford will face a fundamentally-sound ball club when the ball is tipped against the Bulldogs. (26-30) Blue & Gold Tournament—Fair Grove, Skyline and Strafford will represent the Mid-Lakes in the annual four-day holiday extravaganza. Other teams participating include: Aurora, Ava, Bolivar, Branson, Buffalo, Camdenton, Central, Clever, Conway, Crane, Glendale, Greenwood, Hartville, Hollister, Lebanon, Logan-Rogersville, Mansfield, Marion C. Early, Marshfield, Mt. Vernon, Mountain Gove, Nixa, Ozark, Reeds Spring, Republic, Spokane, West Plains, Willard, and Willow Springs. (6) Pleasant Hope at Walnut Grove—With their Dallas Duo leading the way, the Tigers are thinking about ending their season in Columbia. Senior Dallas Hawk is a 6’3” rock solid athlete who can jump out of the gym, while 6’2” junior Dallas Meinders was Co-Player of the Year in the Polk County League last season. This will be a good test for the youthful Pirates before Mid-Lakes play begins in earnest a week-and-a-half later. (6) Lamar at Stockton—If this were a football game, then the outcome would pretty much be a foregone conclusion. The Tigers are good on the hardwood, too, as evidenced by their 21-5 record and district title last season. Three starters are gone, but leading scorer Tripp Tucker (14.5 ppg) and point guard Derek Henderson are back for Lamar. Stockton’s versatile lineup can go big or small, and may do both depending on how these teams are playing come January. (9) East Newton at Marionville—The Patriots got hot late in the season last year, rolling to a 17-10 record and district runner-up finish to Ash Grove. Four starters and nine lettermen are back for East Newton, so the Comets should expect a tough match-up in this key non-conference tilt just prior to the Mid-Lakes slate. The Comets are tough to beat at home, though, especially with Lathan Kerans and Jacob LaSalle in the lineup. (9) Marshfield at Strafford—This one should be fun! The Jays return four starters from last year’s district title team, including a standout in 6’4” senior Lukas Clift (16 ppg), as well as Bradey Welsh, Josh Powell, and junior Wyatt Findley. Marshfield will be one of the most athletic teams that Strafford plays this season. 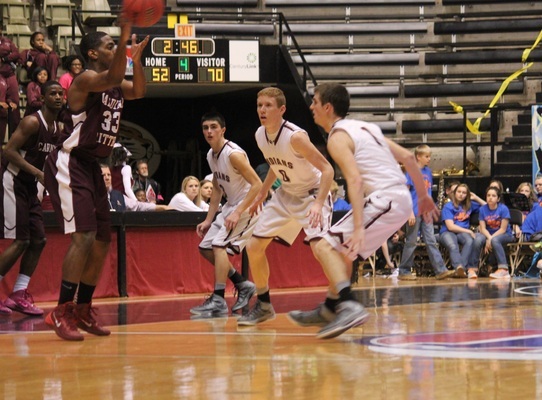 Last year’s match-up at Strafford ended in a hard fought 76-70 victory for the Indians. (12-17) Skyline Tournament—The host Tigers will look to win their own tournament for the third-straight year. Although Skyline is the favorite, there will be some stiff competition from teams like Osceola and Macks Creek (with 6’5” All-Stater Cody Eidson). Stoutland, which won the tournament in 2012 with an overtime victory over Skyline, will be participating, as will El Dorado Springs, Stockton, Warsaw, and Wheatland. (13) Crane at Strafford—The Indians’ tough non-conference schedule continues four days later with a visit from Crane, a 26-win team a year ago that returns four starters. This will be a step-up in competition for the Pirates, though, as Strafford’s deep, athletic, and endless lineup of thoroughbreds will make it tough on the visitors. (19-24) 45th Annual Stockton Tournament—It’s been a while since Stockton has won its own tournament, but on paper at least, this looks like a year that the Tigers can keep the trophy in-house. The tournament field this year includes Dadeville, Greenfield, Greenwood, Humansville, Lamar, Lockwood, and Pleasant Hope. (24) Skyline v. Macks Creek—There are not a lot of miles between these two schools, so the players on both teams know each other well. Skyline will be looking for its fourth-straight victory in the series in this game, which will be part of the Laker Shootout at Camdenton. Macks Creek, a Class 1 Final Four entrant last season, features a 6’5” All-Stater in Cody Eidson. The battle between Eidson and Skyline standout Dylan Mountain alone will be worth the drive to the lake. (24) Strafford v. Battle—Strafford faces a second-year program in another featured game at the Laker Shootout at Camdenton. The Spartans struggled to a 5-19 record in their inaugural season last year, but promise to be better in 2014-15. In fact, Battle has already defeated defending Class 2 state champion Sacred Heart 68-60 in the season opener. The Spartans, led by sophomore Daviante Ostrander and junior Jadaunte Sutton, are quick and athletic, which should give Strafford a good test as the Indians prepare for another deep state tourney run. (6) Miller at Ash Grove—The Cardinals are a perennial Spring River Valley Conference contender, and despite the loss of four starters from last year’s 20-6 team, Miller returns a standout in 6’4” senior Jordan Jack, a double-double machine. 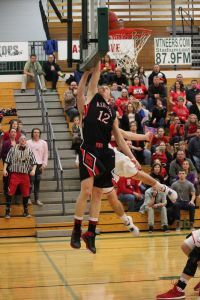 Ash Grove counters with its own standout big man in 6’3” Ben Weinreis, which should make for a fun evening in the paint. (6) Skyline at Fair Grove—This is an unofficial elimination game in the race for the Mid-Lakes Conference title. With Strafford the unquestioned king of the conference until taken down, the winner of this game keeps its conference hopes alive, as both Skyline and Fair Grove still have yet to play the Indians. The Tigers won a 62-59 nail biter on their home floor a year ago. (13) Skyline at Strafford—The Indians close the season with three games against their biggest competition for yet another Mid-Lakes Conference title, beginning with a visit from Skyline. The Tigers have the talent to beat Strafford, but it will take a near-flawless effort to do so, especially on the Indians’ home floor. Advantage: Strafford. (17) Marionville at Strafford—Next up for Strafford is a visit from Marionville. The Indians’ depth and athleticism give them a clear advantage in this match-up, although the Comets’ Lathan Kerans is a 1st-Team All-Conference type of talent. The Comets have not beaten Strafford in a long time (who has? ), and it is unlikely that that streak ends this season. Advantage: Strafford. (20) Strafford at Fair Grove—How about a rivalry game to settle the Mid-Lakes title? 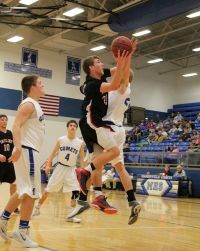 The Eagles are still smarting from last season’s 82-51 beat down, as the Indians rolled to yet another undefeated conference crown. The Eagles are loaded with talent, and could very well be the preseason conference favorite next season. The Indians trot out a supremely talented and experienced nine-deep senior lineup, though, and will be a heavy favorite to beat their arch-rivals once again. Advantage: Strafford.